Gemstones captivate us with their magical appeal. Through the centuries we have woven vast bodies of lore surrounding the jewels we wrest from the ground. 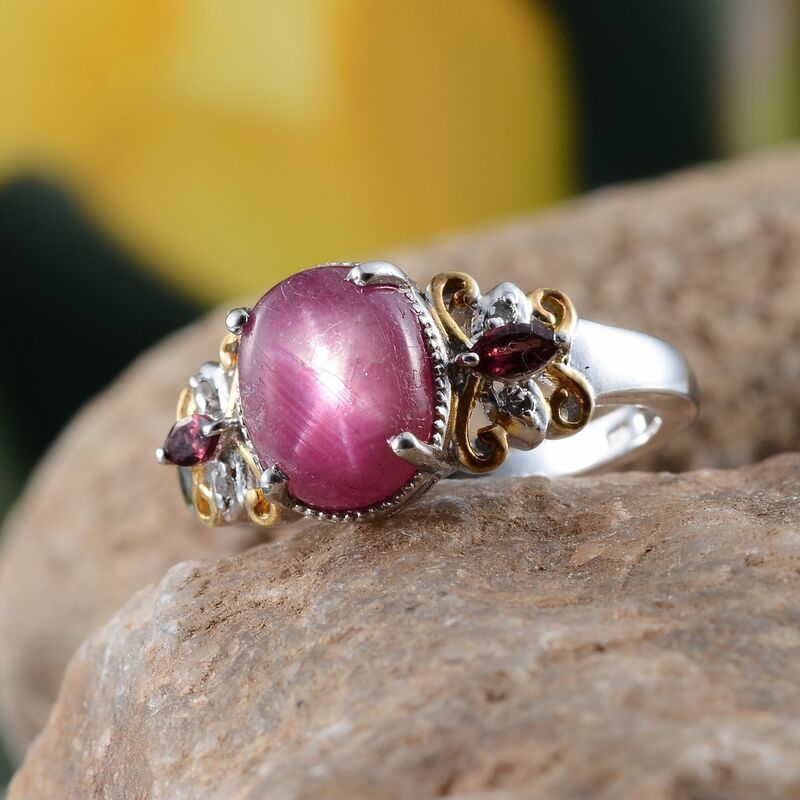 Many can be considered romantic gemstones. These stones may have powers over life and love ascribed to them, or they have been immortalized in our works of song, literature, and film. We cover some of the most famous gems of romance below. The color red possesses universal appeal. In Western tradition is symbolizes the blood of life, heat, passion and energy. In the East is represents luck, happiness, and fertility. It should come as no surprise then that rubies have long been considered the quintessential red gemstone. Ancient Hindu tradition suggests that rubies contain an inner fire that cannot be extinguished. And what better way to represent unconditional and true love than with a ruby? Traditionally, rubies are the 40th-anniversary gift, perfect for symbolizing a long life spent happily with one’s spouse. Most are familiar with the traditional lore surrounding amethyst. The stone is widely known in myth as a talisman preventing or combating drunkenness. What many may not realize, however, is that amethyst has long possessed a deep connection to love and relationships. 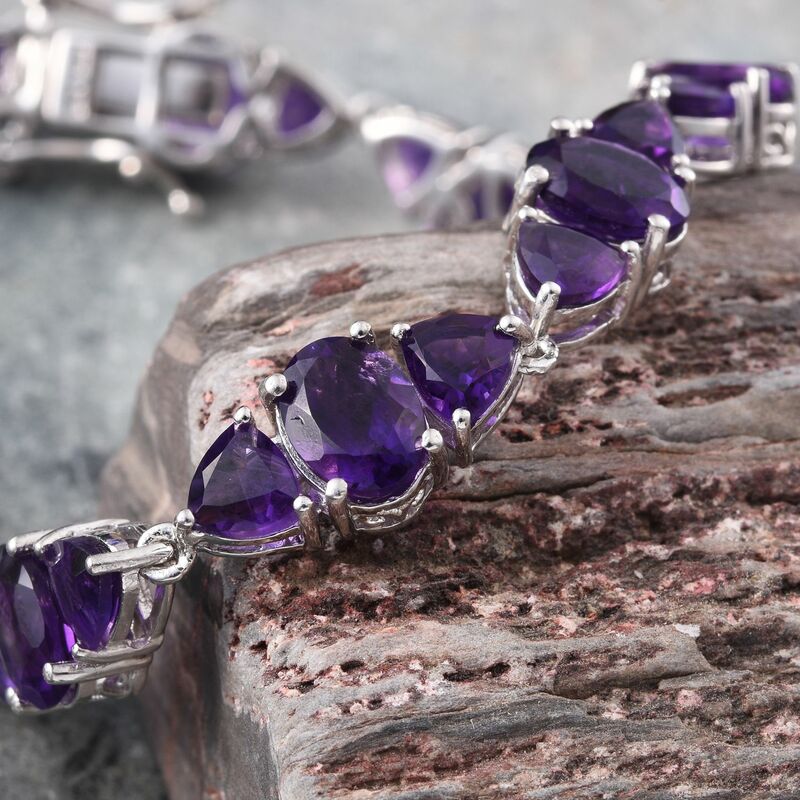 In early Roman belief, amethyst gemstones were said to promote harmony in the home. Roman wives would wear jewelry set with this stone to keep their husbands loyal. In Catholic tradition, amethyst became the stone associated with Saint Valentine, for whom Valentine’s Day is named. In this way, the jewel became associated with lasting and eternal love. In fact, stories persist that the saint wore an amethyst ring engraved with the image of Cupid, Roman God of affection and desire. This may stem from the tradition of the clergy wearing amethyst rings, especially bishops. Amethyst is the traditional gift for the 17th wedding anniversary. 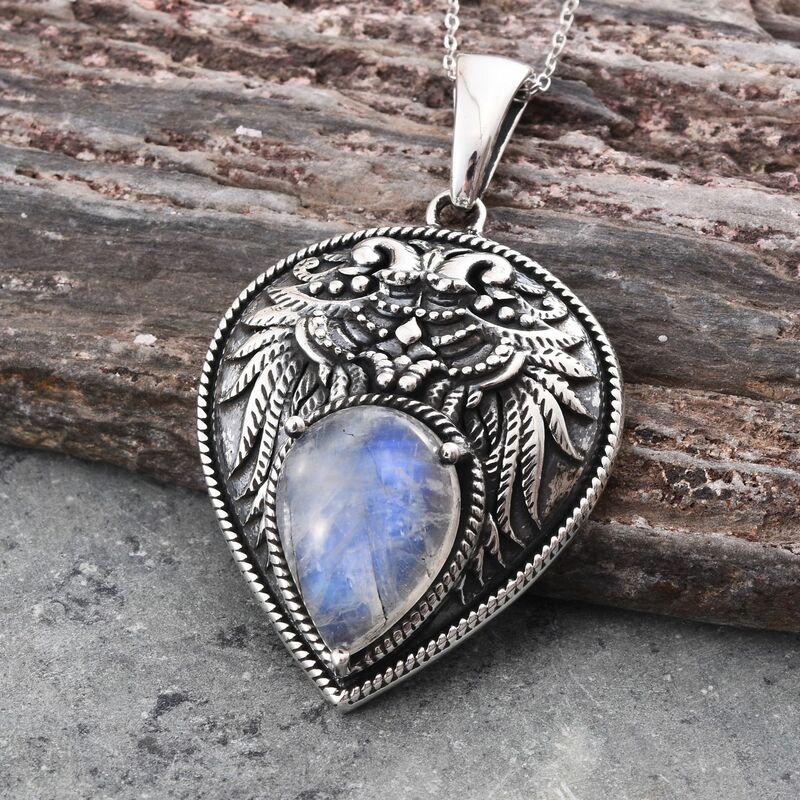 Much of the myth and mystery surrounding moonstone alludes to its association with the Moon. By this kinship, moonstone is also commonly associated with women and fertility. Ancient Hindu tradition ascribes special meaning to moonstone gifts exchanged between lovers. The gem supposedly strengthened their bonds. Also, moonstone would grant visions of their future together, both good and bad. This ritual would need to be performed in the light of a full moon as these romantic gemstones were placed in their mouths. Moonstone is also recognized as the traditional gift for the 13th wedding anniversary. As a stone associated with luck, it was once held to reverse the misfortune associated with the number thirteen. 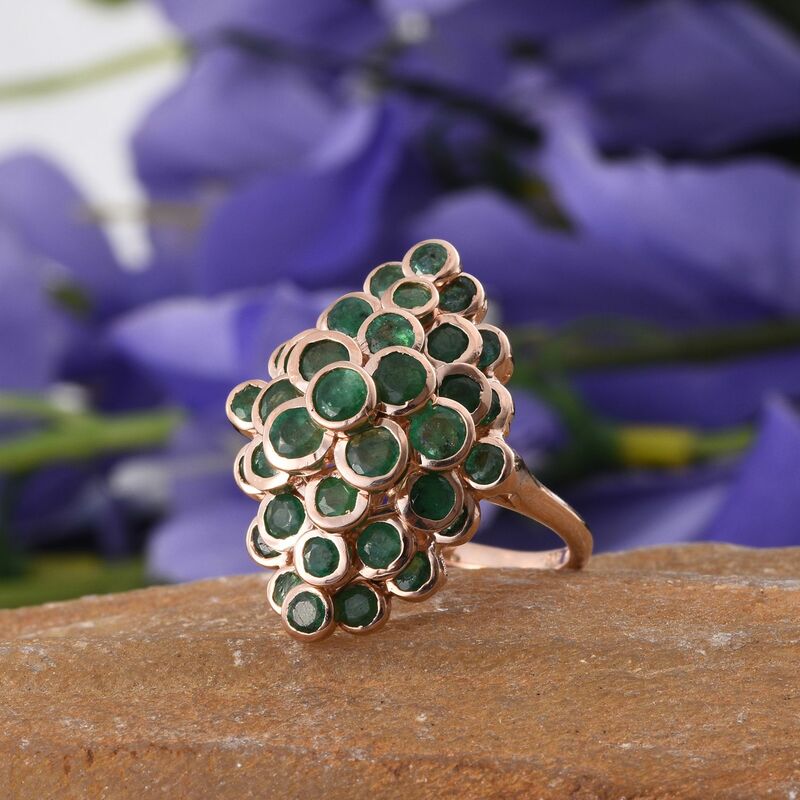 Explore our emerald jewelry range. Ancient Egyptians considered emeralds to be a gemstone of young lovers, and an appropriate gift to bestow upon these budding relationships. They believed that the gemstone would heighten feelings of passion, romance, and love. In addition, the stone was associated with fertility, so it was ideal for these new families and conception. On the other side of things, emerald gemstones were often associated with heightened perception, intelligence and the detection of truth. Many stories across different cultures explain how emeralds were used to uncover infidelity or prove loyalty in relationships. The Egyptians believed that a woman would remain chaste to her husband when wearing emerald in his absence. Several European legends tell of emeralds that would fracture or shatter when couples were reunited after one partner was unfaithful. Venus, the Roman Goddess of Love, was associated with emeralds. The color of the stone would darken or lighten as romantic feelings between partners shifted. Emerald is also the traditional gift for the 55th wedding anniversary. These selections represent a small selection of romantic gemstones you can find. There are much more, just awaiting discovery. What will you find? Continue your journey through our Education Center, and see what’s in store! Discover Happy Hearts, and find the perfect Valentine’s Gift.